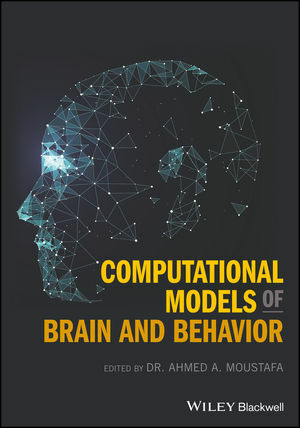 This book provides a broad collection of articles covering different aspects of computational modeling efforts in psychology and neuroscience. Specifically, it discusses models that span different brain regions (hippocampus, amygdala, basal ganglia, visual cortex), different species (humans, rats, fruit flies), and different modeling methods (neural network, Bayesian, reinforcement learning, data fitting, and Hodgkin-Huxley models, among others). Computational Models of Brain and Behavior is divided into four sections: (a) Models of brain disorders; (b) Neural models of behavioral processes; (c) Models of neural processes, brain regions and neurotransmitters, and (d) Neural modeling approaches. It provides in-depth coverage of models of psychiatric disorders, including depression, posttraumatic stress disorder (PTSD), schizophrenia, and dyslexia; models of neurological disorders, including Alzheimer’s disease, Parkinson’s disease, and epilepsy; early sensory and perceptual processes; models of olfaction; higher/systems level models and low-level models; Pavlovian and instrumental conditioning; linking information theory to neurobiology; and more. Computational Models of Brain and Behavior is written for advanced undergraduate, Master's and PhD-level students—as well as researchers involved in computational neuroscience modeling research. DR. AHMED A. MOUSTAFA, PhD is a Senior Lecturer in Cognitive and Behavioral Neuroscience at the MARCS Institute for Brain, Behavior, and Development, School of Social Sciences and Psychology, Western Sydney University. He has published more than 100 papers in high-ranking journals including Science, Proceedings of the National Academy of Science, Journal of Neuroscience, and Brain, Neuroscience and Biobehavioral Reviews.